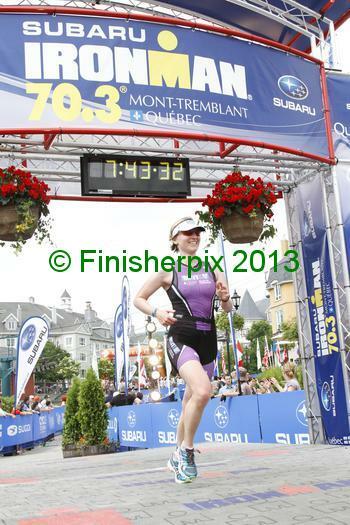 Mont Tremblant Half Ironman…I Finished! I started training in January, with some very cold runs. And soon it was June. 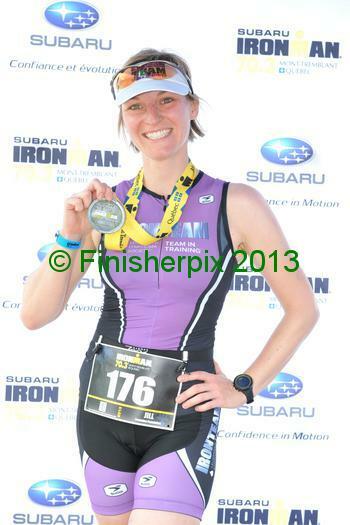 After months of swimming, biking and running, I finished my first Half Ironman on Sunday. I said under 8 hours (because I really had NO idea how long this was really going to take), and finished in 6 hours and 58 minutes! A HUGE thank you to Mark who supported me when I went off for 2 hour runs, Monday night swims and 5 hour bike rides in New Jersey. He was on this 6 month journey with me. Best of all? I raised over $4,000 for the Lymphoma and Leukemia Society (and over $8,000 when it’s matched by Bloomberg!). 32 of us raised nearly $150,000. I raced with people who have had cancer and used LLS during treatment. I couldn’t say more about this cause and the organization. I’ve done 5 races with Team in Training, and estimate I’ve raised over $15,000. I drove up to Canada with fellow Team in Training teammates, Kelly and Stephanie, on a Friday. Nothing like telling border patrol you are visiting to help fight cancer. What a beautiful location! And then some day before practice on the bike and in the lake…and posed for pictures. It was all fun and games at this point. Except that it was raining, that was a little dreary. But meant I didn’t need quite as much sunblock. And then it was race day! Someone laughed at my LL Bean tote I used to cart my stuff to the transition area. What can I say, it’s my beach tote and works well. I already have one coat of sunscreen on at 5 am. And reapplied before the bike and run. Got to protect the skin! Even if it means 2 minutes off my time. I have videos, but no space on the blog, so some shots I borrowed from my finisher pics (and if you want the video or want to see what the swim start for us amateurs looks like, let me know). Let’s just say I wasn’t running into the water. And now what…maybe a full Ironman? We’ll have to see about that. And a shout out to my littlest fan, Ben. 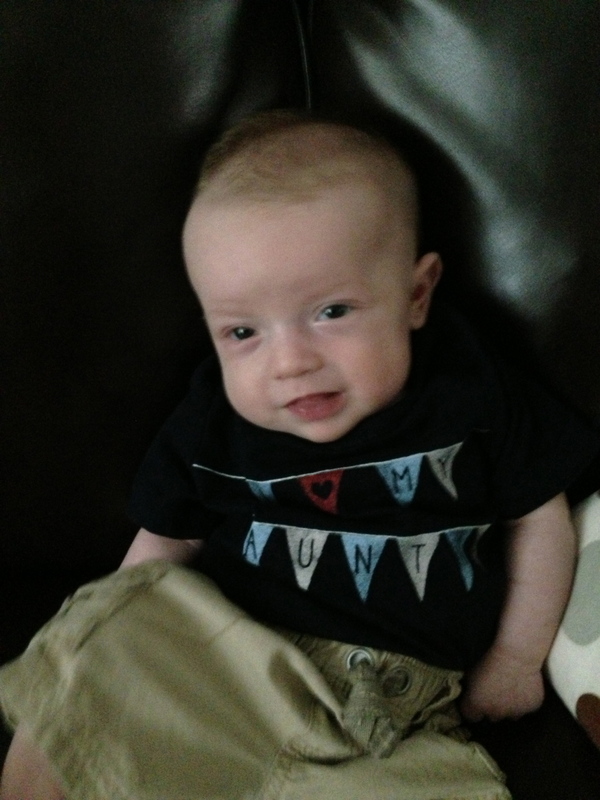 Look at him supporting Auntie Jill with his cute little t-shirt on race day. < Previous Brooklyn Piggies & More. Smorgasburg 2013. I am so proud of you! You look amazing finishing! !